Treat your little angel to loving softness with the Bubba Blue range. 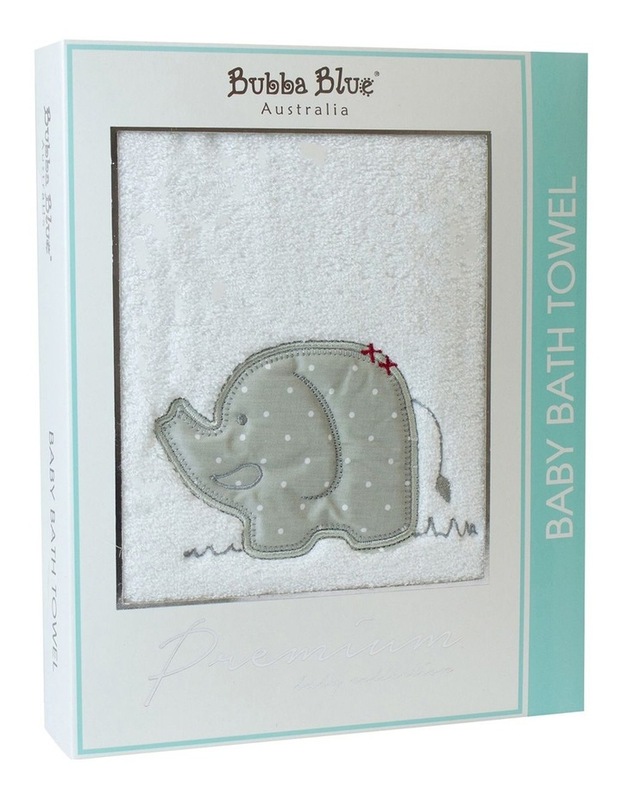 This gorgeous baby bath towel features a sweet elephant embroidery and patch detail and is super soft and absorbent. Size: 60 x 120cm Fabrication: 100% Cotton Terry.